I found a great deal to like about the Mystique's handling, and I consider myself a handling buff. With an empty weight just over 700 pounds, the Mystique has a nearly equal useful load, one of the highest in the S-LSA category. The Mystique shares hangar space with the Skyboy, also manufactured by Interplane and sold by LSA America, Inc., and the Fantasy Air Allegro, which the Hempsteads distribute under the company name Fantasy Air USA. The cockpit is 43 inches wide. Four-point shoulder harnesses and seatbelts are standard. The only baggage area currently available is this shelf behind the seats. 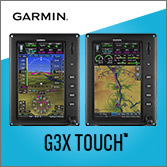 The Mystique is set up to accommodate a nearly all-glass panel, as shown here with the optional Dynon electronic flight information system/engine monitoring system, and optional Garmin 296 GPS. Dual sticks and brakes make the Mystique suitable for flight training. The throttle and trim are in the center console. But this airplane offers no mystery ... Most pilots will find nothing mysterious about the Mystique. In fact, many readers already know its manufacturer, Interplane Aircraft, which also manufactures the Skyboy that achieved early success before light-sport aircraft (LSA) were given official status. Yet to American pilot eyes, the Mystique is a new bird on the horizon. It earned its special lightsport aircraft (S-LSA) airworthiness certificate shortly before the U.S. Sport Aviation Expo in mid-January 2007. This is the second S-LSA approval for Interplane; Skyboy won approval in October 2006. 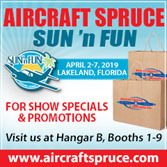 Let's Meet the Distributor and Manufacturer Many LSA pilots have come to know Doug and Betty Hempstead, the proprietors of several aviation companies based at the Sanford-Lee County Regional Airport in North Carolina. Doug and Betty operate a flight school, two import enterprises, and plan to embark on final assembly of airplanes in the United States. The Hempsteads import the Allegro, manufactured in the Czech Republic by Fantasy Air, under the Fantasy Air USA name. This reasonably priced airplane is one of the success stories in early LSA deliveries, occupying the number 3 position according to one tally in the fall of 2006. Doug reported 68 deliveries as of January 2007. 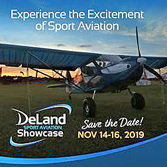 A number of flight schools have embraced the model, and Fantasy Air USA introduced its significantly upgraded Allegro 2007 model at the Sebring Expo to replace the more familiar Allegro 2000. Another of the Hempsteads' enterprises is the newly formed LSA America, Inc. Under this corporate name they import the Interplane aircraft- the Skyboy and Mystique. The older Skyboy is back on the U.S. market at a most agreeable price of $47,500 ready-to-fly, or just over $50,000 when overseas shipping is added. 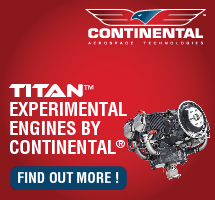 At this price you get an 80- hp Jabiru 2200-powered aircraft that will perform energetically and offers a most comfortable cabin. LSA America can supply you with facts and figures about Skyboy. Interplane Aircraft is based in the Czech Republic but is owned by American Ralph Mandarino, a Michigan resident. After selling a successful automotive business and restricted by a non-compete agreement, Ralph decided to enter the aviation business. He saw a way to use his experience as well as old country contacts. He not only bought the design of the Skyboy but also the manufacturing plant in a country where he has family connections. A team of engineers formerly employed by the LET Kunovice aircraft factory created the Skyboy, Mystique, and other designs, including commuter aircraft such as the 19-passenger L-410 and 40-passenger L-610, plus world-class sailplanes such as the L-23 Super Blanik and the L-33 Solo. Thousands of their aircraft are flying around the world. Interplane's manufacturing facility is located in Zbraslavice, Czech Republic, just 50 miles outside of Prague. The company boasts wellequipped facilities with modern machinery, a situation made possible by Mandarino's investment. In addition to building the Skyboy, Interplane uses its special machining capabilities to seek new business in small metal assemblies and composites. In fact, the company builds component parts for other LSA producers in the region. Thanks to the background of Interplane and its association with LSA America, purchasing a Mystique is a largely American affair. Still, when purchasing a foreign-built aircraft, it's especially important to know the company behind the product. Demystified The Mystique features all-composite construction with a cantilevered low wing that's also built with composite main and auxiliary spars. Using sailplane methods common to Eastern European designers, Interplane builds the removable wings with robust main spar bolts. The Mystique's fuselage exterior is a graceful shape that lets the air flow gently around it, though this beautiful shape ends at a rather boxy-looking vertical tail. And, the Mystique's unfaired gear legs seem to stick out of the cabin abruptly. I'll bet future updates to the design refine those points. In flight, the Mystique was tight and solid feeling. Though the design may gain from further development, the airplane appears well executed. It also boasts an impressive payload, more than its empty weight. Its useful load calculates to 750 pounds, assuming the factory figure of 570 pounds empty weight, a very low number among S-LSA. With 18 gallons of fuel on board in the standard configuration, the Mystique still has a payload of 642 pounds. If the airplane can maintain such a trim weight, it will have a superior capability of hauling two, extra-large 250-pound occupants with a whopping 142 pounds left over. At these figures, the Mystique has one of the best payloads in the S-LSA category-an important figure to many potential buyers. However, the Mystique's 43-1/2- inch wide cabin presents a challenge to this generous payload. While the airplane might be able to lift heavy occupants, they might not fit inside. Buyers will want to try the aircraft on for size to be sure. (One standard bearer that most pilots know is the Cessna 172 Skyhawk, whose cabin measures 43 inches wide. Many other LSA boast cabin widths of 46-49 inches.) Older, less flexible pilots might struggle a bit to mount the Mystique's wing. I pulled myself up using the substantial canopy rear structure and braced my hand on the aft fuselage, but it seemed a bit awkward without a fuselage handle. Owners obviously will develop a technique that works for them. The Mystique does have split flaps, so you don't have to take the same care to step across that surface, but it's a fairly good stride from entry foot peg to mid-chord. And, baggage space is fairly limited. Despite the airplane's great carrying capacity, the Mystique simply doesn't have room for much gear. You're limited to an overnight bag or two aft of the seats. But, Oh, The Visibility! Inside I found the Mystique's seat to be comfortable with secure restraints. The canopy is big, beautiful, and optically excellent. You feel as though you can see forever aloft. At my height of five feet ten inches, I had good headroom; taller-than-average pilots will need to sit in the airplane to check clearance. Visibility was as broad as you'd expect with the large, fully unobscured canopy, however, it got hot inside as we taxied out for takeoff in the Florida sunshine. Like most forward- hinged bubble canopy designs, the Mystique lacks a way to prop open the canopy to let more air flow through. This hothouse feeling is a common problem for similar designs in warm conditions; some sunbelt operators spurn low wing designs for this reason. On the Mystique I flew, the right side canopy latch was very tight to secure. I needed help the first time. It'll probably loosen up in time with use. The canopy is big, beautiful, and optically excellent. You feel as though you can see forever aloft. A plus for the Mystique design is a thick roll bar that is reassuring in the event of a turnover mishap. However, this aircraft had no parachute. LSA America had just received its first Mystique; after they have more time working with Mystique customers, they'll likely offer other options. During our flight, the Mystique appeared to be running a bit hot at 260 degrees. Company pilot Jim Schmidt was looking for 240 degrees. We actually cut the flight short to assure we did no damage to the engine. After the U.S. Sport Aviation Expo, where I flew this model, LSA America's mechanics discovered the airplane's engine information system (EIS) was showing incorrect information, so the perceived heating problem wasn't a problem. Trim also needed some adjustment as it did not provide enough aft authority, though the pitch pressures were sufficiently light such that this wasn't a problem. The Mystique's split flaps operate via a mechanical lever between the seats. A detent bar releases the current setting and allows for easy resetting. Forward of the flap lever is a linked throttle lever. To the right side of the throttle is trim, and forward of each of these is the brake lever. For me, I found the brake handle a bit far to reach, and the brakes themselves were not particularly effective. Jim indicated that this might have been because of an air bubble in the line, another adjustment LSA America's mechanics can easily do. Jumping Aloft The standard Mystique I flew was equipped with the 80-hp Rotax 912; for most pilots that will prove to be In a brisk wind, the Mystique performed very lively. We left the ground quickly and climbed fast, more than 1,000 fpm even with my lack of familiarity with the best climb technique for this airplane. Personally, I love the 80-hp Rotax engine. 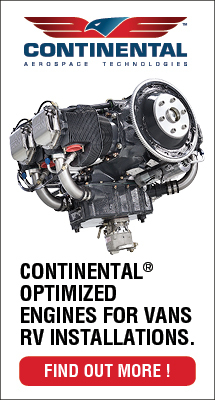 Less is asked of this engine versus the higher compression 100-hp Rotax 912S. It can also use 87-octane gas whereas the 912S demands more expensive 92-octane fuel. Owners flying from high elevations may need the additional power of the 912S, but most pilots should be well served with the less costly powerplant. powerplant. As we approached for landing, the Mystique provided excellent control authority. Even in a strong crosswind at a sharp angle, my landing turned out well. Because of the heating problem, we did only one landing, but even this lone experience made me feel that the Mystique could work well in a training environment. Recreational pilots will surely relax quickly during takeoffs and landings. The Mystique did steep turns well, holding the prescribed bank with little input. I used only a cruise power setting, yet it held altitude with only a bit of back stick, proving the design moves efficiently through the air. The control balance felt good even though all the control linkages were new and slightly stiff. The rudder was a little firm as well. However, pitch pressures were light but pleasant; responsive without being sensitive. I found a great deal to like about the Mystique's handling, and I consider myself a handling buff. Likes To Run With full power in level flight at about 2,000 feet mean sea level (MSL), the Mystique reached 118 mph indicated on an out-and-back averaged run (installed airspeed indicators often have some error). In addition, Jim reported that our test aircraft had been fitted with a coarse prop for training operations. With a finer pitch, it should cruise faster. When LSA America investigated the EIS readouts relative to the heating problem mentioned above, they also discovered that a small leak caused airspeed to be reading slightly low. We were actually flying a bit faster than I witnessed. 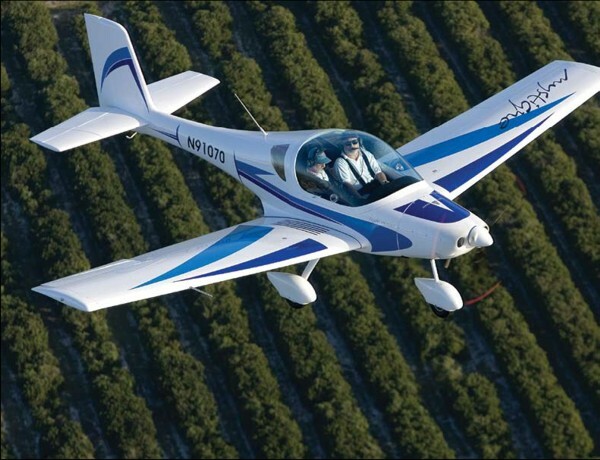 Interplane claims a 15-to-1 glide ratio for the Mystique. Such a performance statistic is difficult to measure without proper instrumentation, but on approach to landing I recognized this airplane clearly wanted to stay aloft. In ground effect, the design also retained energy well-another indication this model might be good for training flights. That said, more than one manufacturer of LSA with long wings and flat glides have later shortened their wingspans to accommodate Americans accustomed to general aviation (GA) aircraft, most of which exhibit shorter glides. When an airplane can stretch final approach, you have to factor in that ability when landing. Come in too fast and you'll float all the way down the runway. Quite a few higher performing planes experience this characteristic. Jim reported the Mystique's fuel burn at about four gallons an hour. While not uncommon for more aerodynamic LSA using the Rotax 912, this figure trumps any general aviation airplane I've flown. Slow flight under 50 mph indicated showed that the Mystique flies well at lower power settings and slower speed; that's not only important for landing approaches but also for slow speed stability. Roll and rudder response at barely above stall remained sufficiently authoritative. Routine stalls with and without power and accelerated stalls in a 30- degree bank showed the Mystique to be quite well behaved. Stalls showed no tendency to fall on a wing, and recovery was as fast as other lightweight LSA. Although my examination of this newly arrived airplane was not rigorous, the Mystique felt comfortable in modest unusual attitudes. Longitudinal stability and response to power changes also introduced no mysteries. The Mystique exhibited a fair share of adverse yaw when controlled solely by ailerons, but this is the rule rather than the exception to nearly all aircraft. How Much? Mystique sells for a base price of $79,000 (see the standard equipment list at the end of this article). Shipping-$ 3,000-is not included, so the final price is $82,000 including airworthiness, registration, and a full fuel tank. 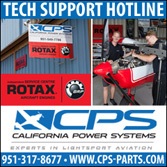 To that you may want to add some desirable options such as: a 100-hp Rotax 912S engine ($3,000); exterior finish colors ($850); transponder ($2,450); Garmin 296 GPS ($2,250); emergency parachute ($4,950); wheel fairings ($450); larger fuel supply-two 15-gallon tanks replace the 18-gallon standard tank ($1,050); and/or an attitude gyro (2,889). This list is not complete. Ask LSA America for a price sheet to see the rest of the options available and to be sure the figures haven't changed. Doug reports that the first Mystique orders closed since the Sebring Expo ended have been running about $87,000. 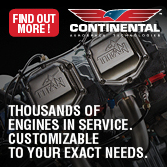 If your interest is piqued, contact LSA America and ask about the Mystique or the Skyboy-as your wallet dictates. You owe it to yourself to check out these attractive and affordable choices. I enjoyed the Mystique and look forward to another flight opportunity. Perhaps it'll be the airplane for you. But this airplane offers no mystery … Most pilots will find nothing mysterious about the Mystique. In fact, many readers already know its manufacturer, Interplane Aircraft, which also manufactures the Skyboy that achieved early success before light-sport aircraft (LSA) were given official status. Yet to American pilot eyes, the Mystique is a new bird on the horizon. It earned its special lightsport aircraft (S-LSA) airworthiness certificate shortly before the U.S. Sport Aviation Expo in mid-January 2007. This is the second S-LSA approval for Interplane; Skyboy won approval in October 2006. 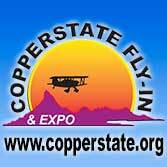 Let’s Meet the Distributor and Manufacturer Many LSA pilots have come to know Doug and Betty Hempstead, the proprietors of several aviation companies based at the Sanford-Lee County Regional Airport in North Carolina. Doug and Betty operate a flight school, two import enterprises, and plan to embark on final assembly of airplanes in the United States. The Hempsteads import the Allegro, manufactured in the Czech Republic by Fantasy Air, under the Fantasy Air USA name. At Sanford-Lee County Airport Fantasy Air USA and LSA America arrange their fleet in front of headquarters. Doug and Betty Hempstead run the operation distributing the Allegro 2007 (photo by Randee Laskewitz). 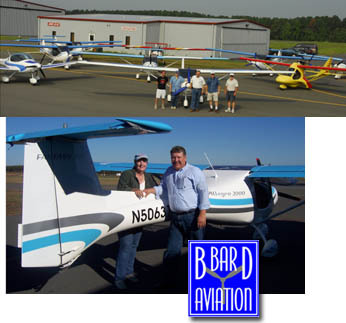 Fantasy Air USA and LSA America in central North Carolina sell three SLSA: Interplane SkyBoy, Fantasy Air Allegro 2007, and Flying Machines Mystique. They'll soon also have the Part 103 ZJ Viera. *** In addition to distributing LSA nationally, Fantasy Air USA runs a profitable flight training operation. Proprietors Doug and Betty Hempstead report 33 students have completed training with an average of 28 hours to obtain their Sport Pilot certificate. Using the Allegro at $70/hour + $30 for a flight instructor, they've kept the cost below $3,000 -- compared to $8,000 or more to get a Private license. Doug reports average burn of just 2.5 gph during instruction (training is flown slower than cruise speeds). Many students drive 1-4 hours to obtain training, though a map on the office wall shows a growing network of Allegros used in flight training. 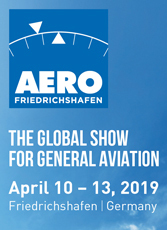 With Allegro #3 to win SLSA approval, Fantasy Air USA has consistently ranked 6th or 7th in U.S. market share reports. Fantasy Air USA and LSA America in central North Carolina sell three SLSA: Interplane SkyBoy, Fantasy Air Allegro 2007, and Flying Machines Mystique. They’ll soon also have the Part 103 ZJ Viera. 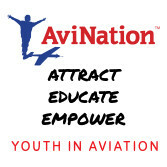 *** In addition to distributing LSA nationally, Fantasy Air USA runs a profitable flight training operation. Proprietors Doug and Betty Hempstead report 33 students have completed training with an average of 28 hours to obtain their Sport Pilot certificate. Using the Allegro at $70/hour + $30 for a flight instructor, they’ve kept the cost below $3,000 — compared to $8,000 or more to get a Private license. Doug reports average burn of just 2.5 gph during instruction (training is flown slower than cruise speeds). Many students drive 1-4 hours to obtain training, though a map on the office wall shows a growing network of Allegros used in flight training. 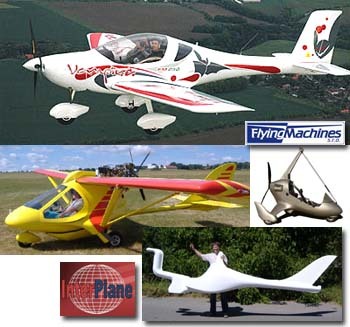 In the USA, Mystique (top) is sold in America by LSA America, Inc, which also sells the Skyboy (middle) by Interplane. The surprising image at bottom right is a new Part 103 project from Interplane called the ZJ - Viera. I'll have more on the ZJ very soon. In my work for the LSA industry since its birth in the summer of 2004, a common lament I've heard is that we have "too many..." new aircraft names, company names, importer names. These statements were from people actively working with the industry so newcomers are surely confused. *** Although I believed I had good information, for some time in SPLOG postings and in articles I've written, I've called Mystique an airplane from Interplane, the folks who build Skyboy and more (see photos). But Flying Machines, another Czech company, is Mystique's creator. Thanks to Pascal Nelson of Greensboro NC for catching the error. Other websites I've visited also have it wrong, and while I'm curious how that happened, it's now corrected everywhere on ByDanJohnson.com. *** Flying Machines was formed in 2004 and builds two versions of the FM250, the Vampire (for Europe) and Mystique (for U.S.). The company also manufactures the smoothly contoured all-composite Carbone weight shift trike and started with the B-612 single place, retractable gear European ultralight. In my work for the LSA industry since its birth in the summer of 2004, a common lament I’ve heard is that we have “too many…” new aircraft names, company names, importer names. These statements were from people actively working with the industry so newcomers are surely confused. *** Although I believed I had good information, for some time in SPLOG postings and in articles I’ve written, I’ve called Mystique an airplane from Interplane, the folks who build Skyboy and more (see photos). But Flying Machines, another Czech company, is Mystique’s creator. Thanks to Pascal Nelson of Greensboro NC for catching the error. Other websites I’ve visited also have it wrong, and while I’m curious how that happened, it’s now corrected everywhere on ByDanJohnson.com. *** Flying Machines was formed in 2004 and builds two versions of the FM250, the Vampire (for Europe) and Mystique (for U.S.). An evolution in design, Mystique shows the camera a beautiful shape. LSA America sells the new model alongside the earlier Skyboy; manufactured respectively by Interplane Aircraft and Flying Machines. LSA America is a newly formed company separate from but associated with Fantasy Air USA, importer of the very successful Allegro*. The new company displayed their Mystique from Flying Machines, which won SLSA #46 just before the Sebring LSA Expo. This lovely bird has smooth flowing lines all the way to a squared off vertical stabilizer. I took a test flight in Mystique to find a light handling airplane with huge visibility. Built in the Czech Republic, Mystique joins Interplane's Skyboy in LSA America's lineup. Mystique has a contemporary appearance and equipment neatly fitting the LSA mold and looks second generation compared to the low-cost Skyboy. Look for my report in EAA Sport Pilot soon (perhaps the March or April 2007 issue). On less than 26 feet of span, Mystique boasts a 15:1 glide; such performance is hard to judge in an hour flight but clearly Mystique held energy well. LSA America says delivery is possible in 3-4 months. 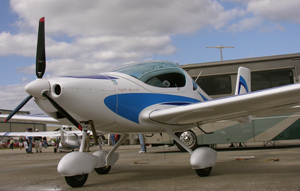 *Fantasy Air also introduced their new Allegro 2007 with significant improvements at Sebring. LSA America is a newly formed company separate from but associated with Fantasy Air USA, importer of the very successful Allegro*. The new company displayed their Mystique from Flying Machines, which won SLSA #46 just before the Sebring LSA Expo. This lovely bird has smooth flowing lines all the way to a squared off vertical stabilizer. I took a test flight in Mystique to find a light handling airplane with huge visibility. Built in the Czech Republic, Mystique joins Interplane’s Skyboy in LSA America’s lineup. Mystique has a contemporary appearance and equipment neatly fitting the LSA mold and looks second generation compared to the low-cost Skyboy. Look for my report in EAA Sport Pilot soon (perhaps the March or April 2007 issue). On less than 26 feet of span, Mystique boasts a 15:1 glide; such performance is hard to judge in an hour flight but clearly Mystique held energy well.